Rose quartz is a type of Quartz which exhibits a pale pink to rose red hue. The colour is usually considered to be due to trace amounts of Titanium, Iron or Manganese in the massive material. Some Rose Quartz contains microscopic Rutile needles which produces an asterism (stars) in transmitted light. Recent X-ray diffraction studies suggest that the colour is also due to thin microscopic fibers of possibly Dumortierite within the massive Quartz. In crystal form (rarely found) it is called Pink Quartz & its colour is thought to be caused by trace amounts of Phosphate or Aluminium. The colour in crystals is apparently photosensitive & subject to fading. The first crystals were found in a pegmatite near Rumford, Maine, USA, but most crystals on the market come from Minas Gerais, Brazil. This crystal harbors pure unconditional love & infinite peace. Resonates beautifully with the heart charka & stimulates the third eye. Rose Quartz purifies & opens the heart purging emotional trauma then strengthening the Hearts energy. Brings deep inner healing with self-love & acceptance through compassionate understanding. Attracts love to you & guides your love to where you wish it to be. Acts as a support vessel while it helps release unexpressed emotions & heartache. 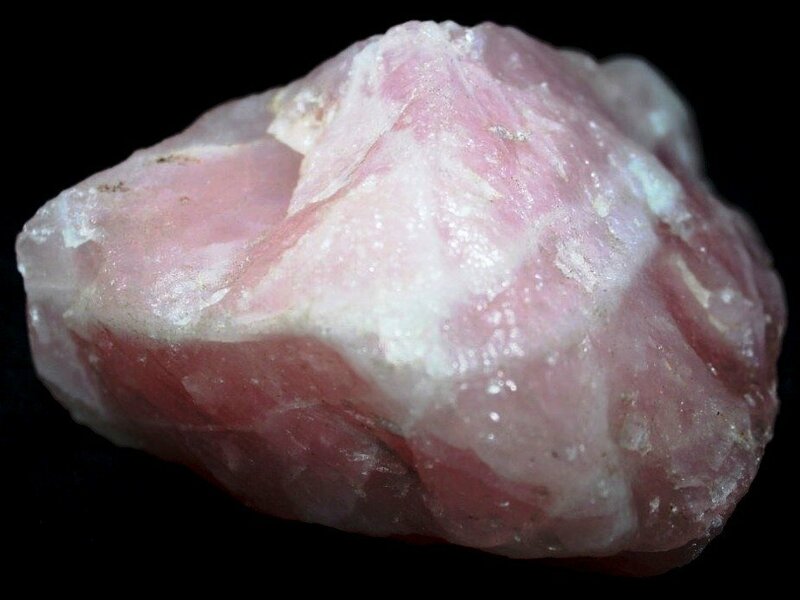 Rose Quartz is very calming, reassuring & excellent for use in trauma or crisis. Encourages self-forgiveness & trust in the self as well as the universe. Restores trust & harmony to relationships by showing true love is unstoppable when embraced in its pure fearless form. Enhances positive affirmations & casts of fears of lack. The immense power of love is captured here, love conquers all demons both internal & external. Rose Quartz teaches us that to wield love is to have the greatest power of all as darkness cannot penetrate such pure divine light. It is used for Heart, circulation, kidneys, adrenals. Increases fertility, sooths burns. Helpful in Alzheimer’s & Parkinson’s.